In a battle of Top 20 teams, No. 4 Duke beat No. 19 Michigan State 81-71 in the Champions Classic on Tuesday night. 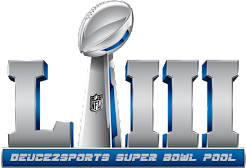 It was an expected result and the game went as most would have expected with the current state of each roster. Duke led from start to finish, and although the Spartans cut the deficit to three numerous times viewers never really got the sense that Michigan State was going to pull off the upset. If you love hard-nosed basketball that isn't marred with whistles then the Michigan State/Virginia Sweet 16 game was glorious. It was exactly what the informed college basketball fan expected: a physical, slow-paced game with minimal possession but also one that included a handful of highlights and suspense until the final buzzer. The first Tom Izzo-Tommy Amaker battle since 1997 was just that - a battle until the bitter end. For the second-straight tournament game the Spartans allowed more than 1 PPP to their opponent, something I'm sure Tom Izzo was not happy with. Still, for the second-straight game the Spartans survived and advanced. 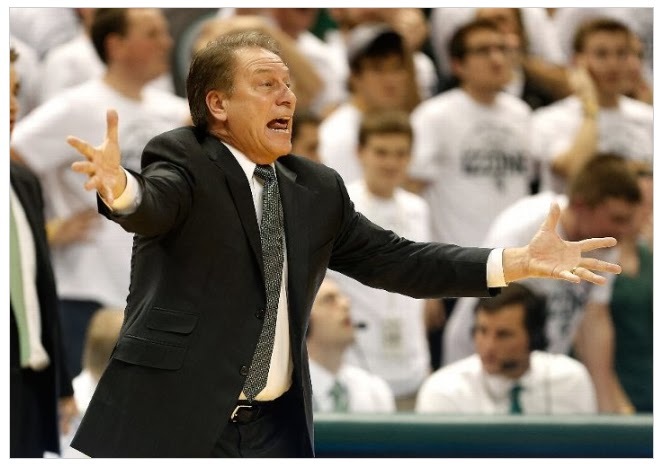 It wasn't quite the defensive effort Tom Izzo was hoping for - 78 points in a 75-possession never is - but it was good enough to compliment an unstoppable offense. There isn't much to take from this game defensively, but a small side note might be the solid defensive game by Kenny Kaminski. No, he wasn't all-worldly or anything, but the guy who is used specifically as an offensive sharpshooter was not a liability. In fact, in 12 minutes he didn't allow a field goal and he forced both a miss and a turnover. That's more than a bonus from a guy like Kaminski. While there are varying opinions here at Deuce2Sports about which team will cut down the nets both of us agree on one thing: Arizona should be playing on the final Monday this season. For much of the season I've said Michigan State and Arizona, when at full strength, would provide a NCAA Championship game classic if the world was privy to such a game. The way the bracket lays out means a Spartans-Wildcats title bout is a very real possibility. Sure, both teams would have to win five games - against stiff competition no doubt - to reach the Monday night finale but Sean Miller's Wildcats and Tom Izzo's Spartans are more than up to the task. I love the Spartans as a national title threat but Michigan State's road to the Final Four and national title game is much stiffer than Arizona's. Therefore, and it's somewhat of a cop-out, I took Arizona to win this matchup because I think it's more likely the Wildcats are one of two teams standing than the Spartans. That said, however, this would be a juicy matchup that either team could win. 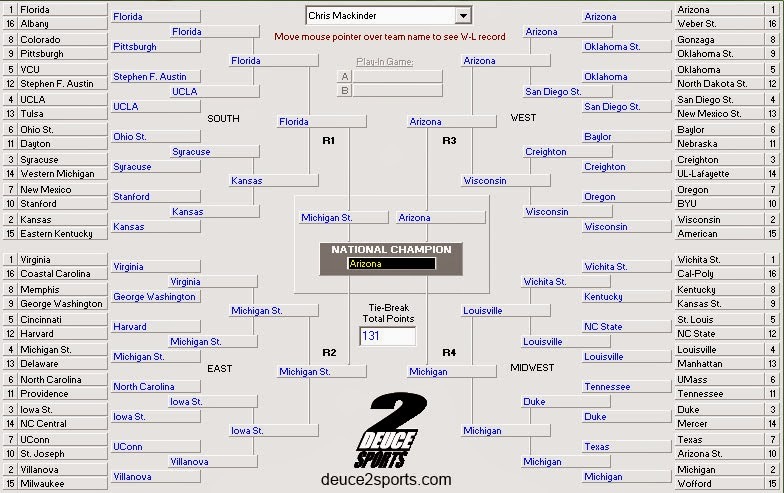 (It's why my 3-year-old son Liam's bracket has Michigan State beating Arizona in the title game). 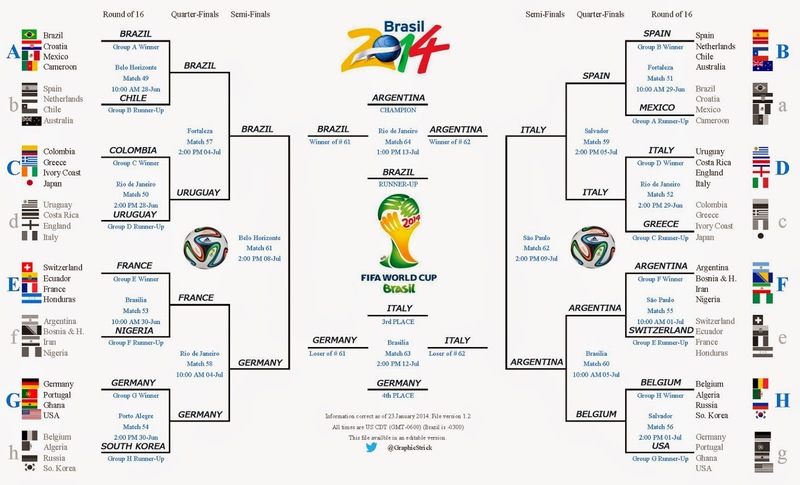 For the rest of the bracket there really aren't any strange or outlandish picks. The Big Ten is really, really good and that's one reason I have two Big Ten teams in the Final Four (MSU and Michigan) as well as another in the Elite Eight (Wisconsin). Our other writer, Mike Harkins, likes Arizona as well, but not as much as he like Florida to stay unbeaten in 2014. Mike has Florida knocking off Arizona in the title game. However, before you think his bracket is full of chalk notice that he has a six seed (Baylor), seven seed (UConn) and eight seed (Kentucky) in his Sweet 16 along with Iowa State and Kentucky rounding out his Final Four. So no, this is not a chalk bracket by any stretch of the imagination. Like any bracket (or pool for that matter) the strength is in the Final Four and title game. Having a great first weekend might help you top the standings on the first Sunday but ending up with only a pair of Elite Eight teams and one Final Four team is a recipe for finishing in the middle or bottom of your pool. There is no telling what will happen this March. There's a reason it's called March Madness, folks. 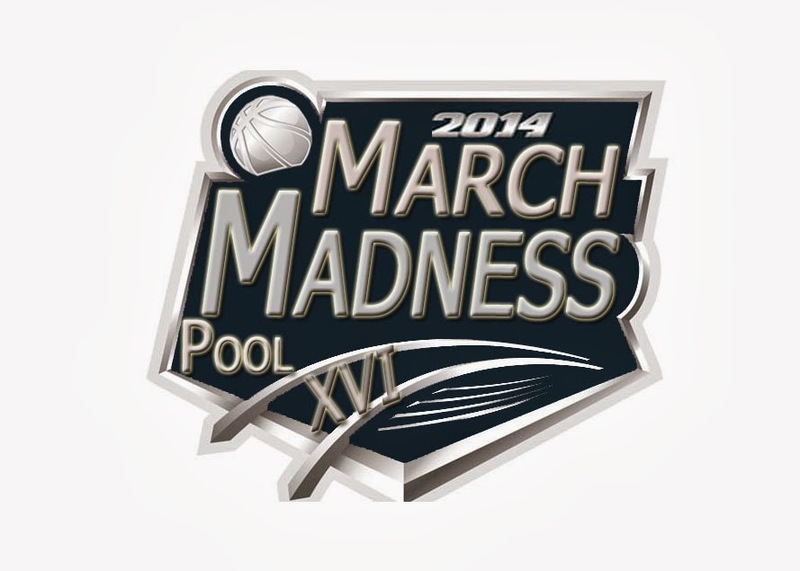 That said, if you want some advice, here are "Sweet 16" Tips to help you win your pool. 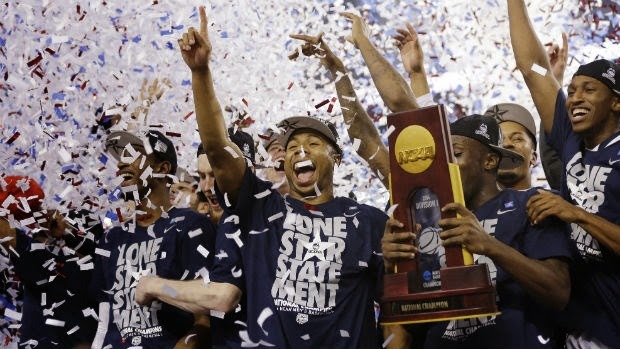 1) The team with the most individual talent does not always win the national championship. In fact, in recent Tournament history, it only seems to happen about half the time. Louisville took home the crown last season without a for-sure NBA player (Russ Smith seems like a NBA second rounder, no?). Kentucky's 2012 title team was loaded with top recruits and NBA-bound players and it was the national champ. Duke won with teamwork in 2010 despite teams like Kansas and Kentucky having more talent. The Tar Heels were called a "NBA team" by Michigan State's Tom Izzo -- and that was before North Carolina whipped MSU in the title game. Kansas won in '08 with the likes of Cole Aldrich, Darrell Arthur, Mario Chalmers, Sherron Collins and Brandon Rush. North Carolina won in ’05 with Sean May, Ray Felton, and Rashad McCants. The Huskies won in ’04, led by Emeka Okafor and Ben Gordon, but Syracuse upset Kansas to win in ’03. Two balanced teams made the final in ’02, with Maryland winning the battle with Indiana after the Hoosiers had knocked off a loaded Duke team in the Sweet 16. The Blue Devils won in ’01 behind NBA-level stars Shane Battier, Jayson Williams, and Mike Dunleavy, but Michigan State won behind its teamwork in 2000, while more talented Duke and Arizona made early exits. 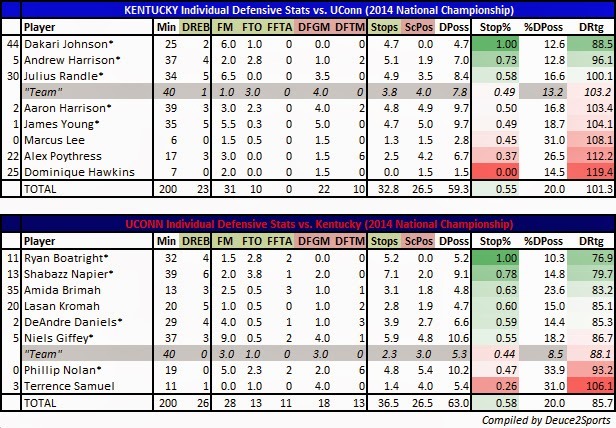 Last year, Ohio State and Kansas were loaded but it was UConn who won the title thanks to a Kembian performance from Kemba Walker. This year Arizona (No. 1), Michigan State (No. 4), Louisville (No. 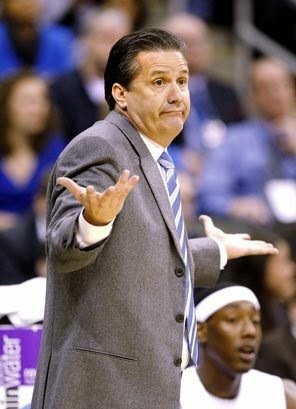 4) and Kentucky (No. 8) seem to have the most NBA talent. The No.1 overall seed Florida, however, doesn't seem to have any for-sure NBA players but might be the best team. 2) Don’t pick all four #1 seeds to reach the Final Four. 2008 was the only year this has happened in the modern era (since 1985) and history is not likely to repeat itself anytime soon. Advancing all the #1 seeds to the Sweet 16 isn't a bad idea (it's much more of a risky gamble to pick a top seed to be upset by an 8/9 seed than to just pencil the top seeds into the second weekend). Wichita State is starting at a Round of 32 matchup with preseason No. 1 Kentucky while Arizona could potentially face Oklahoma State - an early-season Top 10 team - in the same round. Virginia has Michigan State awaiting in the Sweet 16 while Florida might have to go through UCLA (Sweet 16) and Kansas (Elite Eight) to reach the Final Four. Someone will get knocked off before Dallas. 3) Historically, 7-10 affairs have been almost as evenly matched as 8-9 games. It isn't uncommon for there to be more #10 seeds in the second, errr, third round than #7 seeds. New Mexico-Stanford, Oregon-BYU, Texas-Arizona State, UConn-St. Joseph are all toss-ups. 4) #10 seeds make great sleepers. While everyone else looks for the 5-12 upset, just find the vulnerable #2 seed; that's where your #10 seed can do a lot of damage. In fact, 2006, 2007, 2009, and 2013 are the only times since 1996 that at least one #10 seed didn’t reach the Sweet 16. 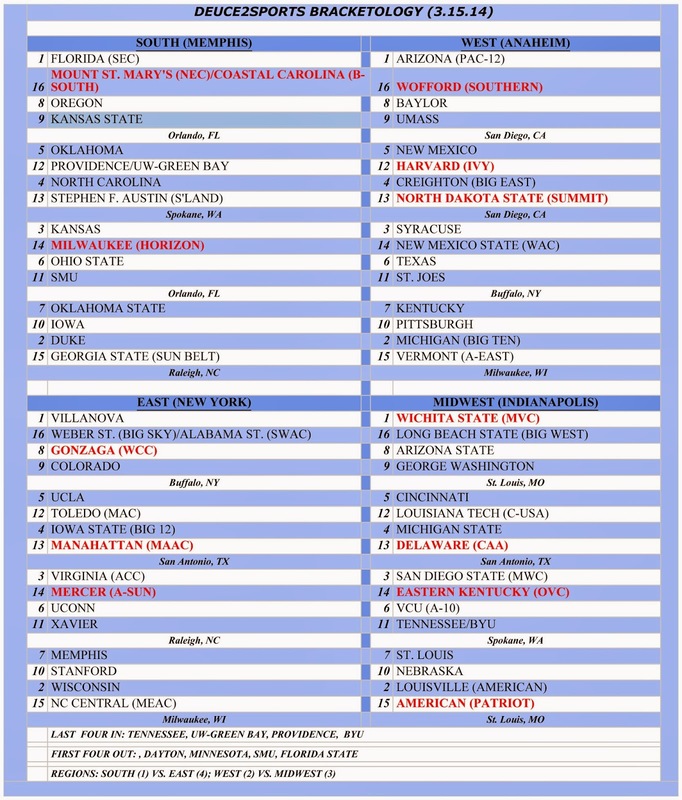 Kent State (2002) and Davidson (2008) have even made the Elite Eight as a #10 in relatively recent memory. Best chances for a #10 sleeper this year are Stanford (decent matchups with New Mexico and interior-depleted Kansas) and Arizona State (Texas game a toss-up but shot-blocking presence down low would allow the Sun Devils to stay out on Michigan's shooters in the Round of 32). 5) It’s not just mid-major Cinderellas that do well with double-digit seeds. Like their little brothers, major-conference schools among the last at-large teams selected also have an uncanny record of winning at least one game in the NCAA Tournament. Examples: Texas A&M 2006, NC State 2005, Auburn 2003, Missouri 2002, Georgetown 2001, to name a few. Villanova and Arizona made nice Sweet 16 runs 2008 and 2009, respectively. 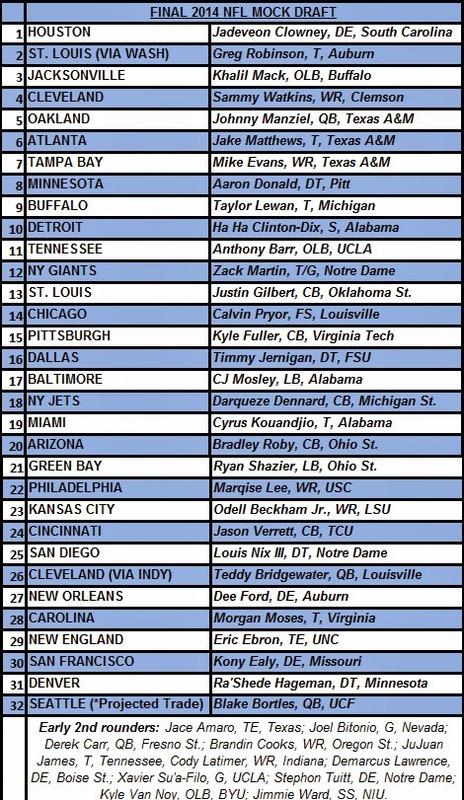 Oregon was drastically underseeded as a No. 12 seed last year and the Ducks proved that with a Sweet 16 berth. Teams that fit the profile in this year’s Tournament could be No. 11 Tennessee, No. 11 Iowa or No. 11 Providence. 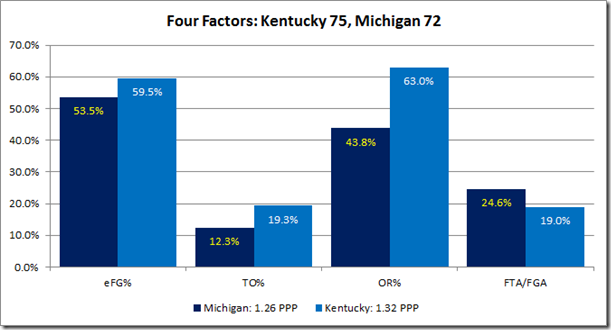 6) Free throw percentages matter. A team like No. 11 Providence has the second-best FT% in the country (78.2%) while No. 7 Oregon is fifth-highest (77.3%). That comes into play in a tight game. Teams like No. 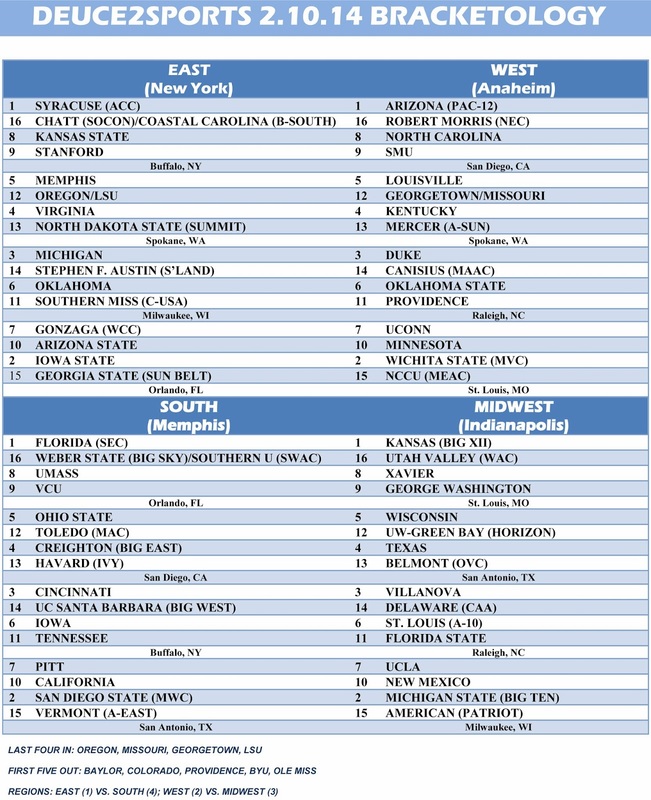 1 Arizona (316th in the country, 65.5%), No. 8 Memphis (328th, 64.7%) and No. 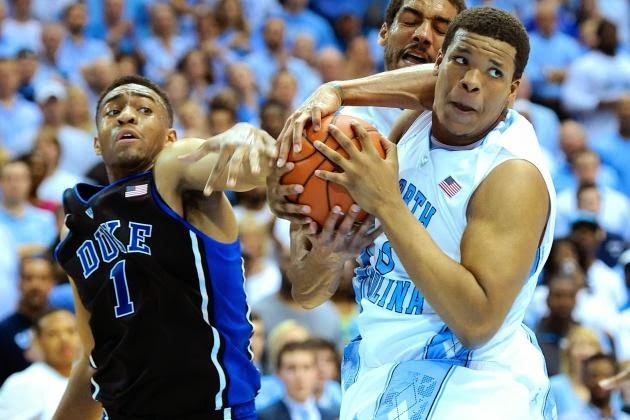 6 North Carolina (343rd, 62.6%) could be brutal in late-game situations. 7) Teams that defend the 3-point shot well can avoid those killer upsets. When you think of great March Madness moments, you usually see those mid-major Cinderella's hitting game-winning triples. Even before it gets to that point, comebacks usually begin with a pair of back-to-back 3-pointers. Louisville is the second best team in the country at defending the trey, allowing makes at just 28.6%. Teams like Ohio State (5th in the country, 29.3%), Kansas State (6th, 29.3%) and St. Louis (7th, 29.6%) are in the best positions to stave off crazy comebacks. Baylor, on the other hand, allows 3-pointers at a 35.5% clip, 244nd in the country. A potential third-round game against 3-happy Creighton could get ugly, right? 8) Pick Duke to reach the Sweet 16—at least. Love ‘em or hate ‘em, the Blue Devils have made the third round of the Tournament 13 years in the last 16 (though they’ve missed three of the past seven). Nevertheless, Coach K is a terrific in-game coach, and Duke's high seed and Raleigh placement makes this an easy "rule." While this goes against a potentially hot No. 11 seed in Tennessee or Iowa (assuming a win over overseeded UMass) the safe bet is to put Duke into the Sweet 16. 9) Look for teams with clutch players. UConn's Shabazz Napier, Michigan's Nik Stauskas, Arizona's Nick Johnson, Creighton's Doug McDermott, and Kansas' Andrew Wiggins make up my “All-Clutch” Starting Five. And don’t forget that mid-majors can have these guys, too. 10) Remember that the West, South and Midwest Regional Finals, as well as the Final Four, are played in massive domes. After playing in traditional college gyms all season, it’s often difficult for players to adjust their depth perception when shooting in a supersized arena that seats 40,000+. The team with the most experience playing in domes might be Syracuse…so if the Orange make it to Dallas they might have an edge. 11) The Big Ten's Top 3 are really, really good. Michigan, Michigan State and Wisconsin are all Final Four caliber teams. Heck, even Ohio State can get hot and make a run. The conference has been able to play at various speeds and should be well equipped to handle all types of opponents. This could be the first Final Four with multiple Big Ten teams since 2005. 12) Don’t drive yourself crazy picking the early-round games—it’s far more important to get the Final Four correct. In a traditional bracket pool, you’ll earn the same number of points for picking two Final Four members than for predicting all of the first-round games combined. (In the annual Deuce2Sports pool, picking the entire Final Four is worth 20 points, compared to 32 for picking the entire second round). 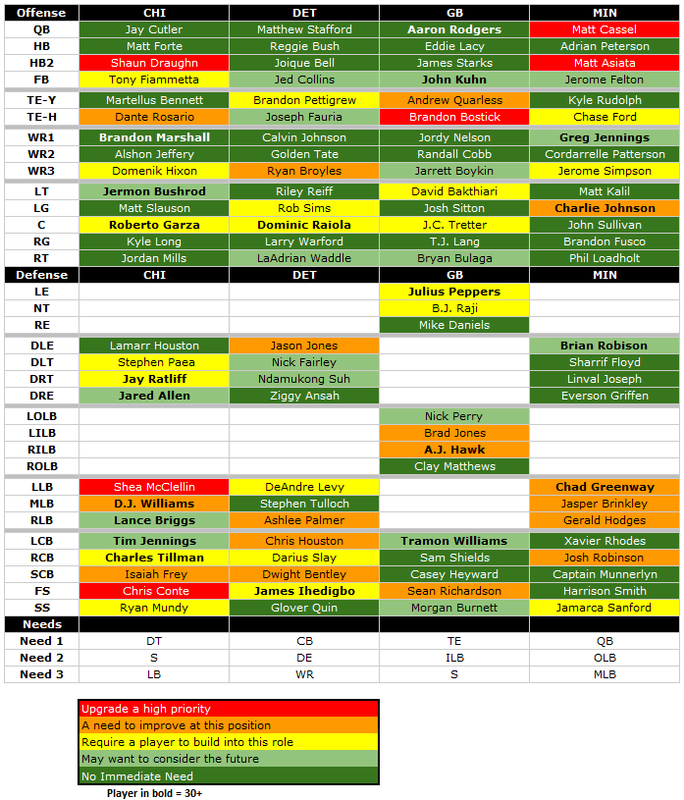 Spend most of your time analyzing who’s going to make an extended run rather than obsessing about those pesky 8-9 and 5-12 matchups. 13) Look at your predicted national champion’s schedule to see if it has won six-plus games in a row during the regular season. As an addendum to this rule, I prefer to look at in-conference games only. Why conference-only games, you ask? Because rarely will you ever see a six-game stretch in a nonconference schedule that features NCAA Tournament caliber of competition. Major conference will provide that opportunity. So, while a team like Ohio State started the year 15-0 the Buckeyes didn't win more than three Big Ten games in a row at any point. Michigan won its first eight Big Ten games as well as its final five plus another two in the Big Ten Tournament showing its more than capable of winning six games in a row. Louisville won seven straight AAC games in February. Surprisingly, Duke's biggest ACC winning streak was five games. Iowa State's was four in the Big 12. 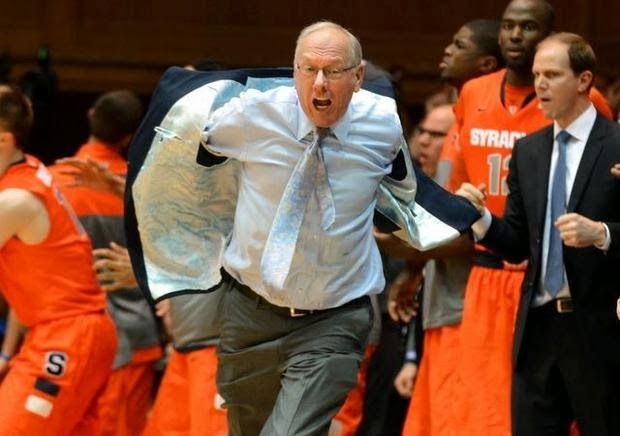 14) Defense doesn’t always win championships in college hoops, but it can certainly win you a couple of games. 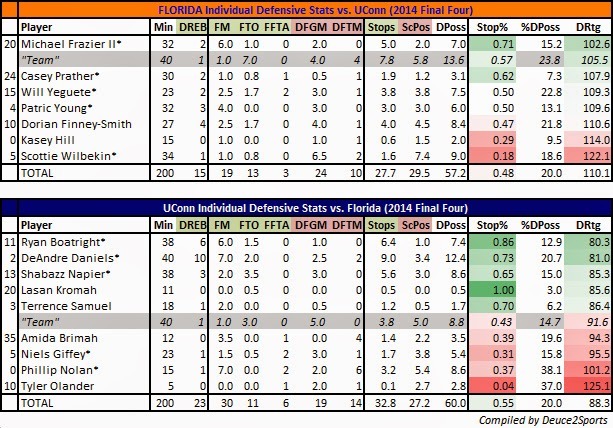 Arizona, Florida, Louisville, Ohio State, Virginia, VCU, San Diego State, St. Louis, Cincinnati and UConn are all in the Top 10 of defensive efficiency via KenPom.com. 15) The final score of the championship game is often lower than you might expect. Because this is typically a pool tiebreaker you should really think about it. Remember the 2011 title game's tiebreaker was 94 thanks to UConn's 53-41 win over Butler. In 2012 Kentucky's 67-59 win over Kansas was just 126 combined points. The Spartans are coming. The Spartans are coming [sung to U2's "The Saints are Coming" remix]. Against one of the country's most prolific offenses the Spartans didn't just win the game but did so in suffocating fashion. It was impressive regardless of your allegiance. Michigan's 55 points were the second-lowest total this season (a 63-52 loss at Indiana was the lowest) and it came at a time when Michigan looked unbeatable. It was a complete team effort and one Michigan State's Tom Izzo is no doubt proud of. 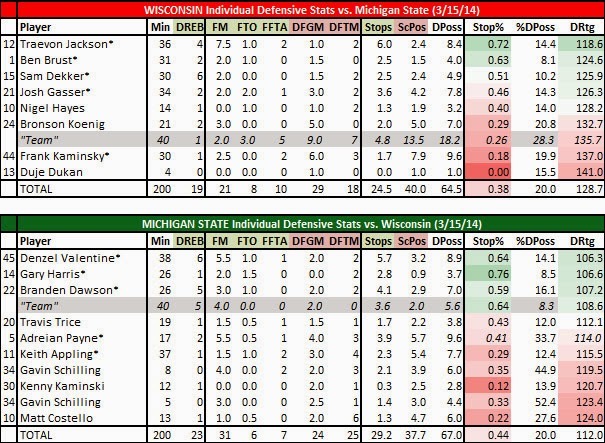 There's a lot of pre-NCAA Tournament work on the docket so here's the defensive score sheet from Michigan State's win - the Spartans' fourth Big Ten Tournament championship - without any analysis. The numbers pretty much speak for themselves. Are the Spartans finally healthy? If Saturday's game against Wisconsin was any indication the answer is a scary, "Yes!" for all other NCAA Tournament teams. We're 30 hours away from a magical moment: The release of the 2014 NCAA Tournament bracket! The bubble has shrunk to the slimmest of margins and many Big Boys have punched their respective tickets to the Big Dance. There will be no stolen bids on Sunday so this is all about seeding. The SEC (Florida and Kentucky), Big Ten (Michigan and Michigan State), ACC (Duke and Virginia), Atlantic 10 (VCU and St. Joes) and the Big West (Weber State and Louisiana-Lafayette) are the only games tomorrow. The Big West is, obviously, a one-bid league and if St. Joes hasn't locked up an at-large bid yet then this bracket is going to be pretty screwy. My first team out is Dayton and while the Flyers have a decent argument to be in I believe this will all come down to how the committee views BYU's recent injury news. If there is a flop it will be due to Kyle Collinsworth's injury. He is BYU's second-leading scorer as well as top rebounder and assister. This will be the biggest thing to watch on Sunday. Of course, this would mean Dayton plays at home during the "First Four." Louisville made their charge for a No. 1 seed, doing pretty much anything it wanted en route to the American Conference title. Now, I did say a few things had to happen for Louisville to overcome a weak nonconference schedule as well as a watered-down league that had five terrible teams. Michigan reached the Big Ten Tournament finals and will have a better profile even with a loss to rival Michigan State on Sunday. 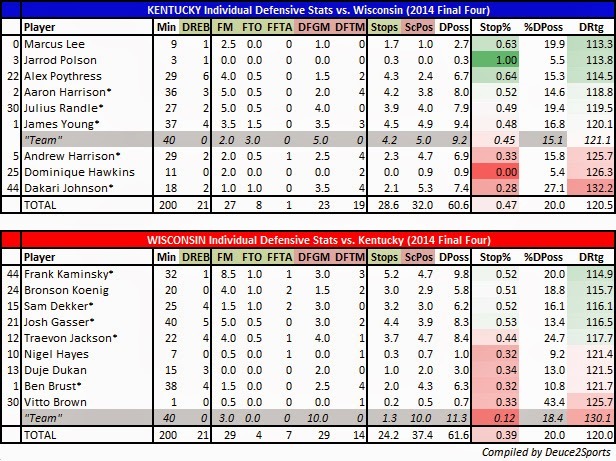 Even with Wisconsin's loss the Badgers' profile is much better than Louisville's. I think the final No. 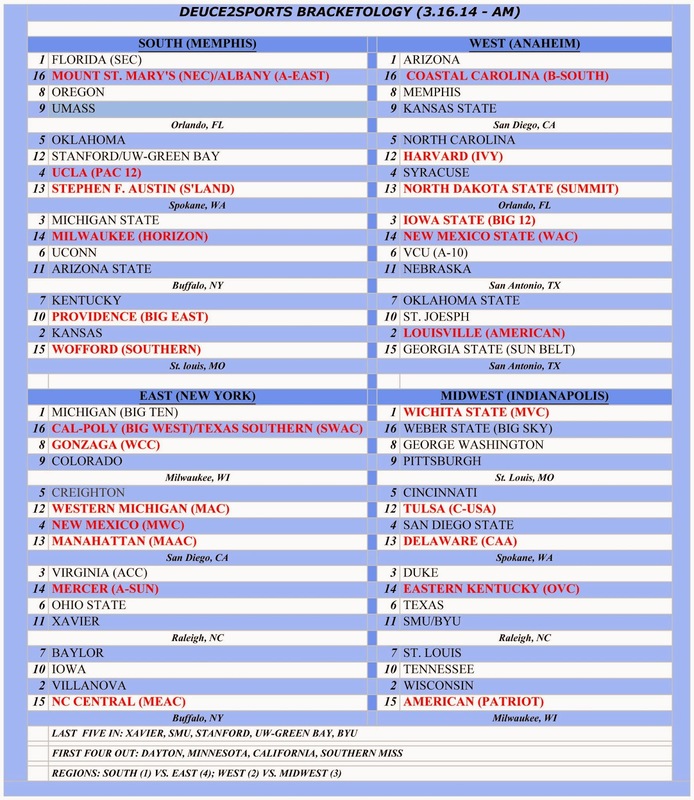 2 seed is a best-case scenario, even though Rick Pitino believes his club will be a No. 1. Keep watching "professional" bracketologists move UW-Green Bay closer and closer to inclusion (maybe even putting the Phoenix in the field) as the Selection Show nears. Just remember Deuce2Sports never had the Phoenix out. Green Bay has a win over Virginia. That, especially if the Cavaliers win the ACC Tournament, looks better and better. While ESPN continues to insinuate the Duke/Virginia has a shot at the final No. 1 seed don't let the WWL fool you; Neither team has a No. 1 resume. Virginia is good and could complete the ACC title sweep but that didn't get Miami a No. 1 seed last year. Duke has two sub-100 losses - something no No. 1 seed has ever had. All of Duke's best wins came at home this year as well. The best road win was at Pitt. The ACC was not the ACC of old, especially with the unbalanced schedule. Both teams are looking at No. 2 seeds at best while potentially a pair of No. 3 seeds is possible regardless of Sunday's result. Michigan is the leader in the clubhouse for the final No. 1 seed. Even with a loss to Michigan State tomorrow I think - especially with the timing being so close to the bracket unveiling - Michigan has locked up that seed. Villanova, in all honesty, is the only challenger. If it stays as is both will be in the East Region anyway and can sort it all out in the Elite Eight. Welcome to the No. 4 line, Syracuse. Yesterday, Syracuse was a surprising three seed but the microscope continues to show just how flawed the Orange's resume is (especially as other teams rise and win - Iowa State - or are favored to win - Michigan State - their conference tournaments). The last team to win the NCAA Championship when not winning either a regular season conference title or the tournament title: 1997 Arizona. The then-Pac 10 didn't have a conference tournament that season and the Wildcats finished fifth (5th!!!) in their league that year. Keep that in mind on Selection Sunday. 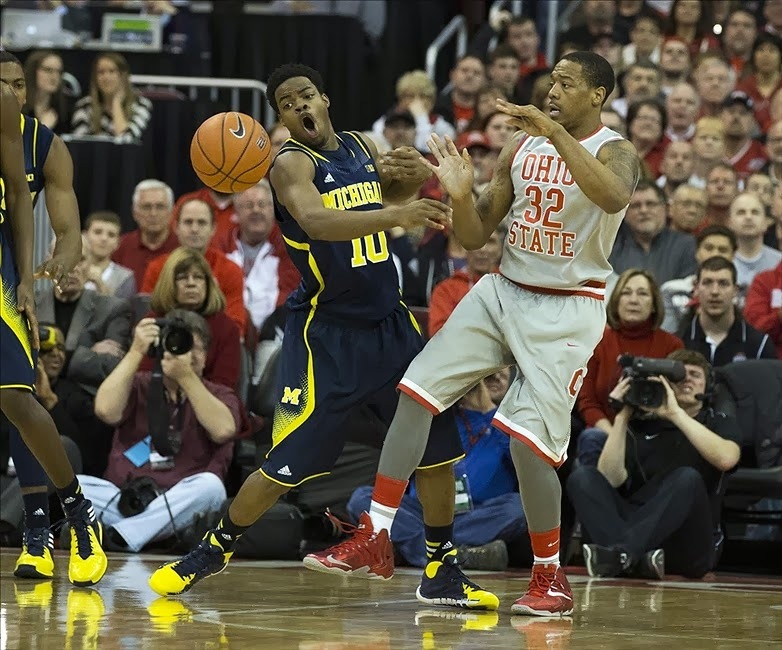 Led by efficient stretches that mirrored last year's first half in the national title game Michigan edged past Ohio State to reach its first Big Ten Tournament title game since 1998. That, if you've forgotten, was the inaugural Big Ten Tournament and the Wolverines took home the crown with Robert "Tractor" Traylor winning the MVP. As I said earlier in the week, Louisville is going to make a real charge at a No. 1 seed. While winning the AAC Tournament isn't terribly glamorous the Cardinals are clicking now. Seriously, winning back-to-back games 92-31 and 94-65 is impressive regardless of the competition. A win against UConn might propel Louisville to the final No. 1 seed if the following happen on Saturday: Ohio State beats Michigan, Michigan State beats Wisconsin and Duke loses to NC State. (If Duke doesn't win the ACC Tournament I believe the Cardinals will still have a shot at the final No. 1 seed). I have a hunch UW-Green Bay gets into the field. It might feel like a 2011 VCU inclusion over teams with more victories but UW-GB was solid all season and has a win over Virginia (which will only look better the further Virginia goes in the ACC Tournament). The Phoenix will be the surprise of Selection Sunday. You heard it here first! By losing its ninth games Kansas might actually fall to the 3 line - which I'm projecting here. That'll be brutal for a surging six seed. If Michigan or Wisconsin wins the Big Ten Tournament, because the title-game opponent will be really good, should get the final No. 1 seed regardless of what happens with Duke, Louisville, et al. The Big Ten's top was that good and for Michigan to win both titles would be quite an accomplishment, seven total losses or not. Welcome to the No. 3 line, Syracuse. Villanova is on the No. 1 line right now because other teams haven't passed the Wildcats... yet. It will happen, but at the moment 'Nova's resume is better. Wisconsin, Michigan, Louisville and Duke - in order - are the two seeds fighting for that spot. Remember, NO team that has lost its first conference tournament game has won the NCAA Championship. That is bad news for Syracuse, Villanova and North Carolina. The last team to win the NCAA Championship when not winning either a regular season conference title or the tournament title: 1997 Arizona. Keep that in mind on Selection Sunday. 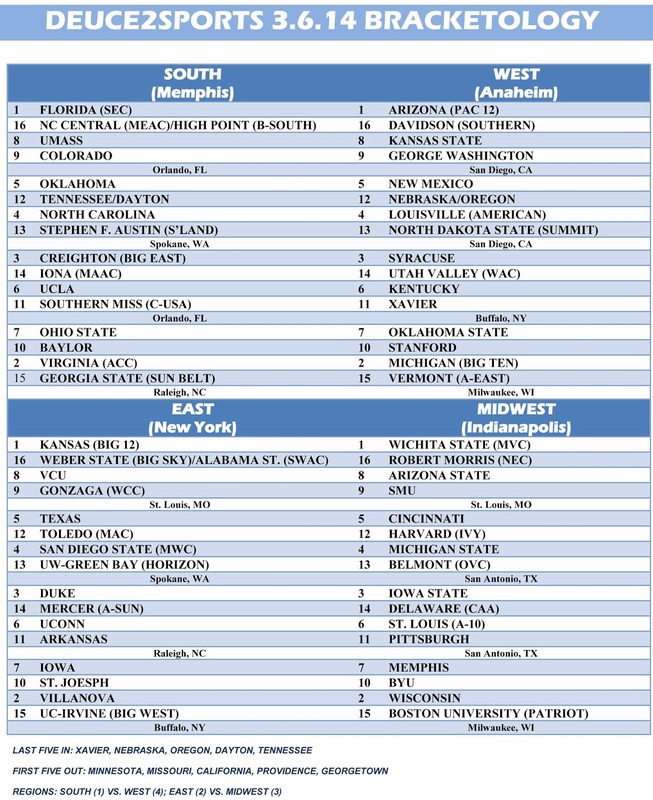 I've said for a few weeks now that it would be a shock if Florida, Arizona and Wichita State, in some order, didn't occupy the first three No. 1 seeds. Right now it belongs to Villanova and a Big East Tournament title would cement that. The Wildcats aren't flashy but a three-loss team (with the only defeats coming to then-undefeated Syracuse and to Creighton, twice) 'Nova just keeps winning. Even with the gaudy record I don't believe Villanova is the fourth-best team. 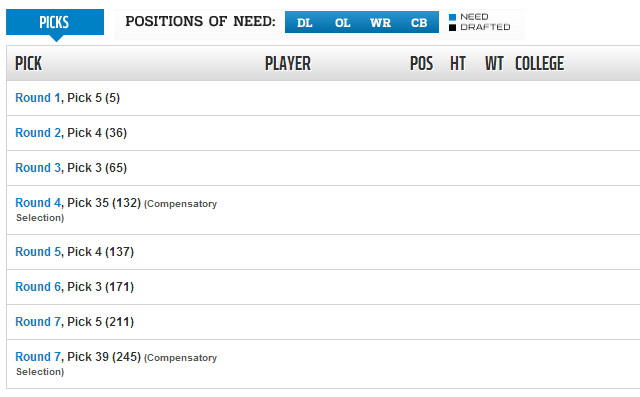 However, all other contenders for that spot seem to be faltering as of late. Round II of Duke-UNC went the way most expected: North Carolina, winners of 12 straight, likely would finally cool down while the Blue Devils would protect home court on senior night and extend the Cameron winning streak to 33 games. 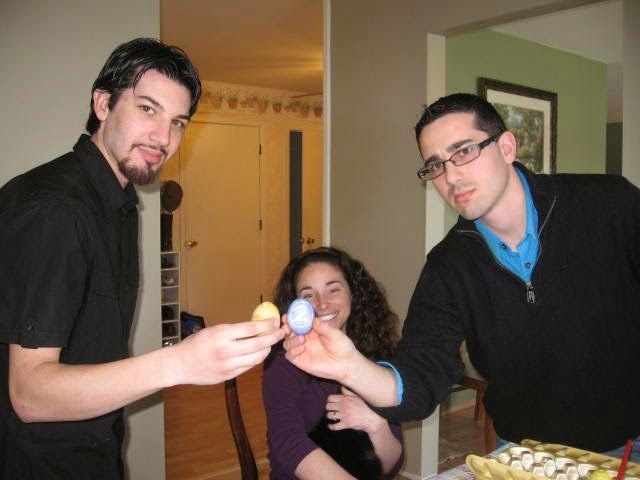 It was one of those rare, "things played out just as most figured they would" games. 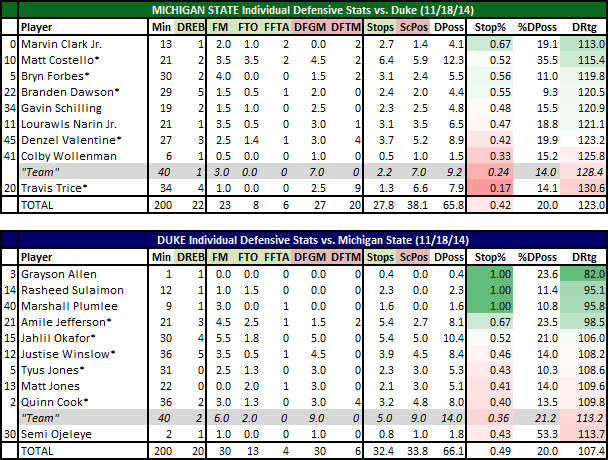 Both offenses, as is typical Duke/UNC clash, excelled while defense took a backseat for much of the game. It seems pretty clear Arizona and Florida are battling for the No. 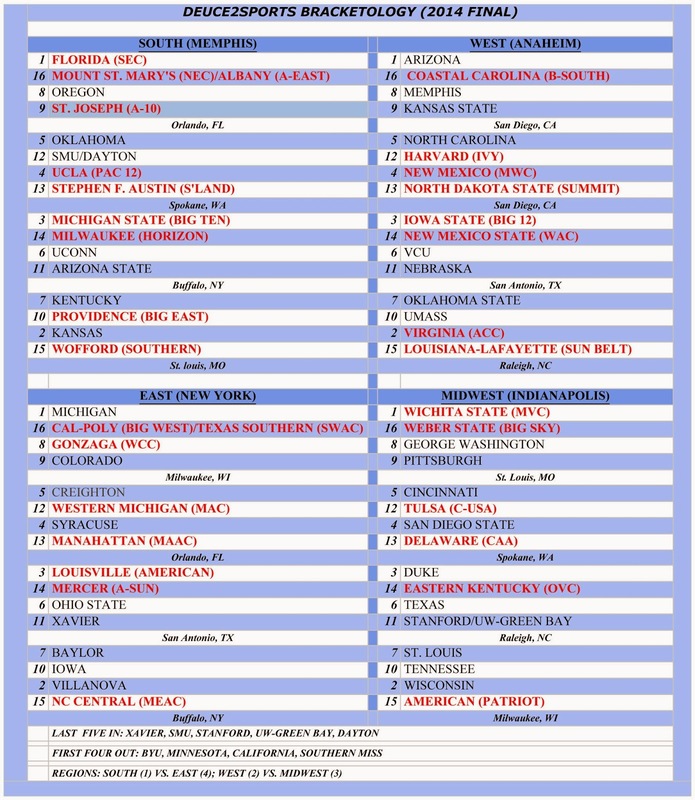 1 overall seed while Wichita State, even with a loss in the Missouri Valley Conference Tournament, will be the third No. 1 seed with a 31-1 record in a worst-case scenario. The battle for the final No. 1 seed is heating up with Kansas, Villanova and Wisconsin as the lead competitors. Michigan and Virginia are in the second tier of teams that could nab the No. 1 seed. I don't see any way Syracuse and Duke can climb back up to the top line. A team like Michigan State, when fully healthy - as it looked like against Iowa last night - plays like a No. 1 seed but it appears a best-case scenario that includes winning at Ohio State and claiming the Big Ten Tournament title would net a No. 2 seed. The bottom of the bubble is ugly as usual and the final five to six spots will likely be determined by how teams fare in conference tournaments. It's always an interesting game within a game: The Turning Point. Listen to commentators for forty minutes and by the final buzzer there will have been at least a half dozen turning points that lead to Team X defeating Team Y. (Of course, some of those turning points had Team Y beating Team X but were negated when something else happened). 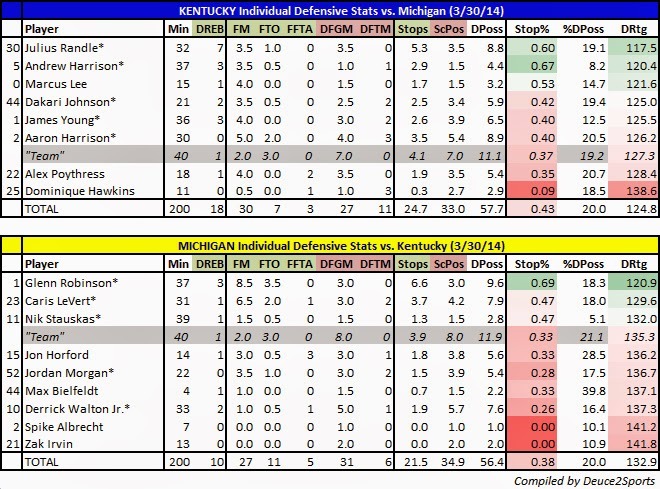 Option A - 1H, 9:57 (MSU 22, Michigan 11): Michigan goes into a 1-3-1 zone. Keith Appling drives and kicks to Gary Harris who hits a 3-pointers...except Appling is called for an offensive foul - his second - and sits the rest of the half. Michigan proceeds to go on a 10-0 run over the next four minutes. Option B - 1H, 2:18-0:39 (MSU 31, Michigan 24): Russell Byrd checks in to give Alvin Ellis III a blow. Byrd proceeds to play his worst defense of the year. First, Caris LeVert breaks Byrd down on a jump shot. Next, Glenn Robinson, sensing a mismatch, takes Byrd to the hole for an And-1 (he missed the free throw). Lastly, LeVert takes Byrd to the rim, makes a basket and gets fouled. He converts the 3-point play. Option C - 1H, 0:01 (MSU 36, Michigan 31): After MSU's Gary Harris hits a jumper with five seconds left in the half, Caris LeVert beats MSU's defense down the court and hits a 3-pointer at the buzzer. 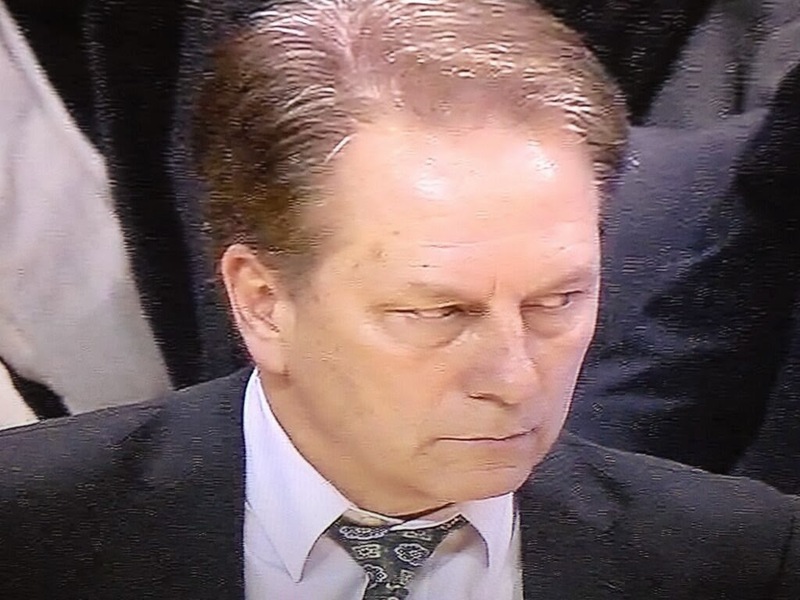 Option D - 2H, 14:17 (MSU 48, Michigan 43): The Nik Stauskas show really begins heating up with a 3-pointer. Stauskas had already scored five points in the half, but it was this triple that started a stretch where Stauskas alone went on a 11-4 run. MSU never led after Stauskas' 3-pointer at the 10:04 mark to give U-M a 54-52 lead. As Doug Gottlieb was pointing out with video evidence this morning on Twitter (via Instagram), Duke's Jabari Parker really had a horrific defensive game. Worried about early foul trouble Parker did his best work on help-side defensive players. When it came to one-on-one it was painful to watch. He consistently turned his shoulders the wrong way when pressuring a ball handler and occasionally his defense could best be described as "ole-style." Still, despite Parker's obvious struggles against UNC's quicker guards and wings, the country's best freshman was Duke's second-best defender based on the numbers. There isn't much movement from our opening projections last week, nor should there be from one week to another in February. The biggest change is some shifting on the top line. Kansas recovered well from its thumping at Texas to not only stay on the top line but shift into the Midwest Region. Florida, which continues to streak, is a new No. 1 seed in the South Region as Michigan State is now on the No. 2 line. 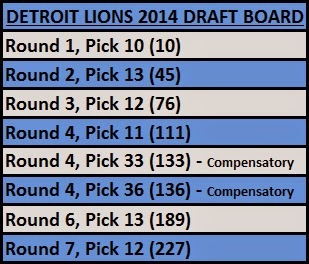 There comes a point that injuries can't be an excuse for seeding anymore. The Spartans may never be healthy so there isn't a reason to hold out hope in terms of seeding. Now, if MSU - healthy or not - can win the Big Ten outright and make noise in the conference tournament and even win it then a No. 1 seed in a lock. Until then, the Spartans look like a solid No. 2 seed, banged up and all. I still believe Wichita State will get a No. 1 seed if it finishes the regular season undefeated and wins the Missouri Valley Conference Tournament. At some point undefeated has to mean something, even if the schedule is weak. Will the Shockers be one of the four best teams? I highly doubt it, but 34-0 would be 34-0. I think San Diego State has an outside chance at a No. 1 seed but would really need two things to happen: Arizona would need to falter a bit without Brandon Ashley making the committee very nervous about considering the 21-0 start with him too heavily as well as a Wichita State loss. If both those things happen and the Aztecs finish with only two losses I could very well see Steve Fisher's club on the No. 1 line. Another Michigan State-Wisconsin game, another instant classic to file in the Rivalry of Love story. Playing without Keith Appling and Branden Dawson the Spartans withstood numerous spurts that nearly put Wisconsin on the edge of a blowout. Still, despite trailing 58-53 with 28 seconds to play the Spartans executed back-to-back out-of-bounds plays to perfection (a 20-foot jumper from Gary Harris and a 3-pointer from Adreian Payne) sandwiched around a missed front end of a 1-and-1 free throw (by 94 percent free throw shooter Ben Brust no less) to tie the game at 58 with 8.7 seconds to play. Despite being blanketed by Gary Harris, Traevon Jackson hit a running jumper with 2.1 seconds left to give Wisconsin the 60-58 win. 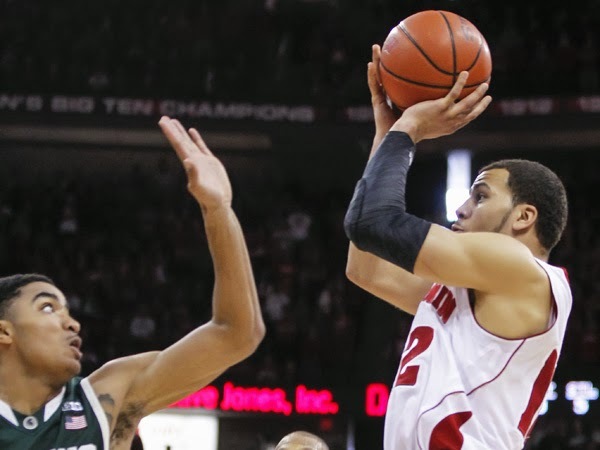 (Travis Trice did ever-so-slightly miss a half-court heave at the buzzer to seal the Badgers' win). 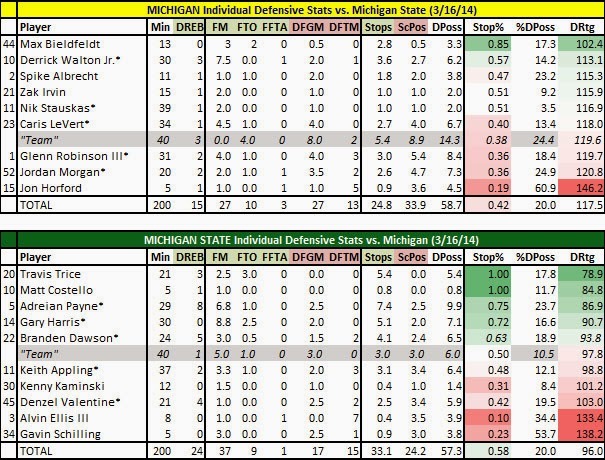 In a 64-possession game it was clear that while both MSU & Michigan's defenses were solid to a point the offenses stole the show - especially Michigan's in the closing four minutes. Michigan's 80-75 win at The Breslin Center - just the Wolverines' 2nd win in East Lansing in their last 15 games - was truly a classic in the rivalry. Clutch play by both teams' stars, especially Nik Stauskas & Gary Harris, made it a back and forth tug of war. 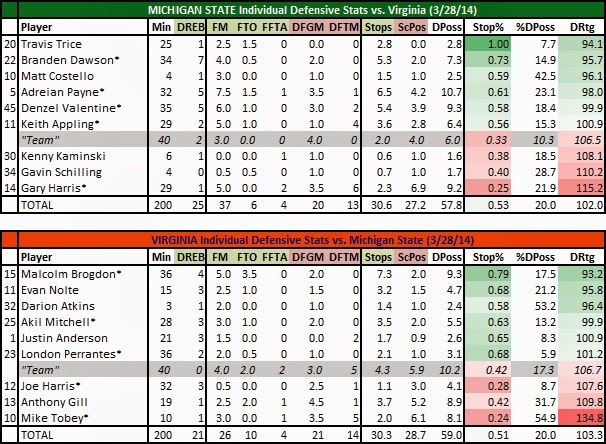 Despite both teams playing without their NBA-ready centers (Mitch McGary for Michigan and Adreian Payne for MSU) the reserves stepped up and both teams had unsung performances from usually low-key guys. 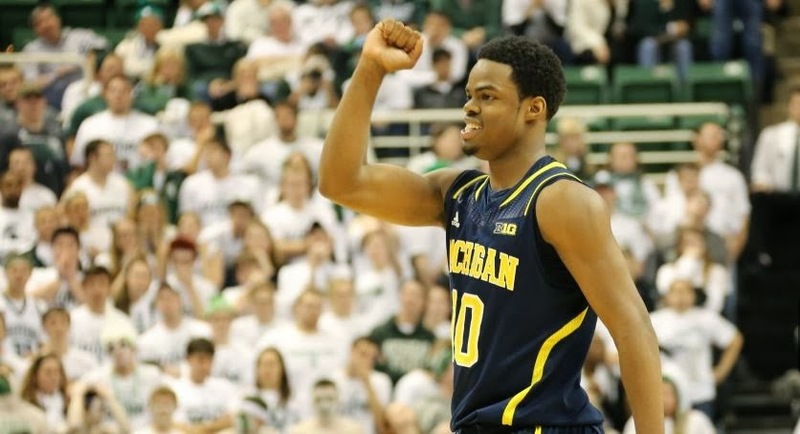 Derrick Walton Jr. had 19 points, six rebounds and four assists for the Wolverines but his biggest plays were his And-1 layup that gave Michigan a 66-60 lead with 2:25 to play, and going 7-for-8 from the free throw line in the final two minutes. Bo Ryan fell to 191-19 (.910) in his tenure at the Kohl Center (AP). It goes without saying just how tough it is to beat Wisconsin at the Kohl Center. Michigan became just the 19th visiting team to leave Kohl Center with a victory... in 210 attempts! Bo Ryan is still 191-19 at the Kohl Center as Wisconsin's head coach. Now, sometimes the bounces (and whistles) just go your way at home. Other times a change in basketball can be difficult for opponents to adjust to. (Wisconsin is the lone Division I team to use Sperling basketballs - a brand Bo Ryan used when he was coaching Division III hoops and just brought with him to Madison). Lest we forget, however, that Wisconsin will always be a good-to-great team under Bo Ryan because of his coaching ability. Throw in the Grateful Red student section and a rabid fan base and you have a very hostile environment. It makes what Michigan did on Saturday that much more impressive. While the final score and late-game tension doesn't quite show it, Michigan really had the game in hand for much of the day. The lead swelled to 66-53 with eight minutes to play. Naturally, as Wisconsin seemingly always does at home, the Badgers made a run. Wisconsin went on a 14-2 spurt to make it a one-point game with two minutes to play. 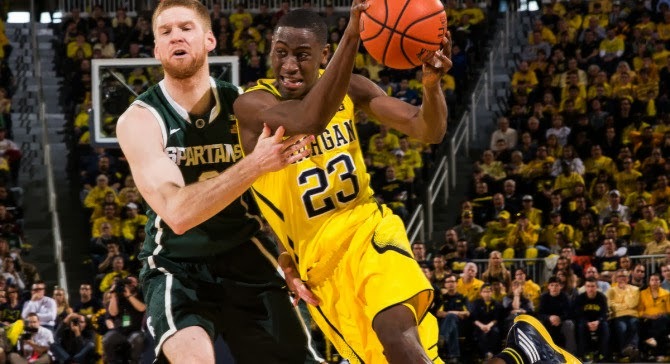 Defensively, it was a very rough day for U-M's Caris LeVert (AP). 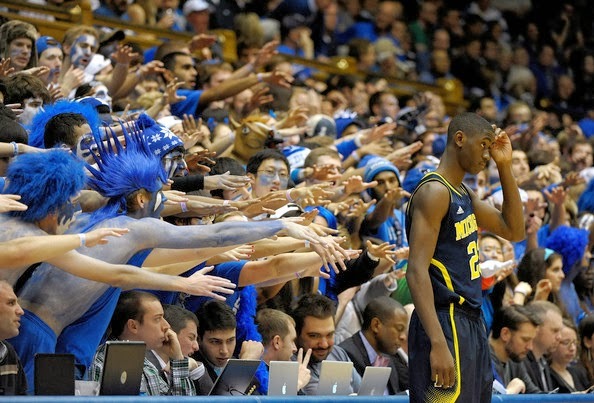 Looking back, this seems like a typical Duke home game this season. The Blue Devils make enough threes and play good enough defense to get the win against a good-but-not-great opponent. It also helped that Michigan didn't play nearly to its capabilities. 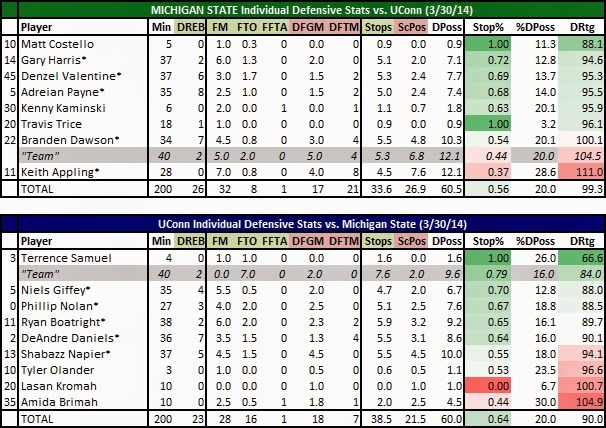 The game had a moderate pace (67 possessions) but that shows you exactly where Michigan failed. Duke was able to get way too many good looks, especially from three-point range. The positive: Michigan played like a team for 40 minutes; The negative: every person on the team was responsible for a plethora of defensive lapses. 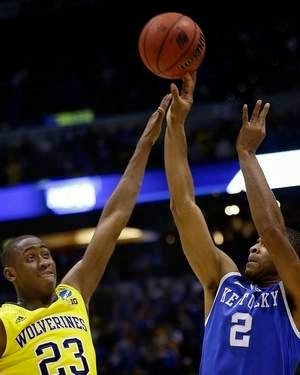 Caris LeVert, who some call "Baby Durant" or variations of it, didn't have a Durantian game on either side of the ball. His 15 points on 15 shots is hardly impressive and defensively he was terrible. He allowed a game-high 8.5 made baskets and was beaten off the dribble repeatedly. 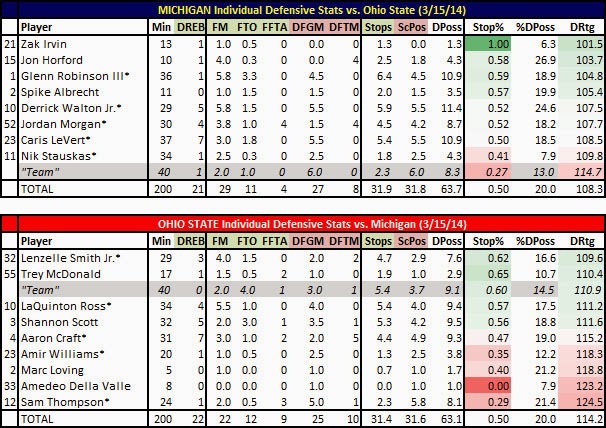 He looked especially bad when Jordan Morgan (worst DRtg for the game at 135.5) was in the post instead of Jon Horford or Mitch McGary (Michigan's best two defenders). his anger was usually directed at his team's lack of execution. In what has turned out to be one of the more puzzling losses of the season, the Spartans were out-hustled, out-willed, and out-worked for 40 minutes by the Tar Heels. The result was a 79-65 North Carolina victory in which Michigan State never led. Yes, the Spartans were playing with a gimpy Gary Harris (ankle) and a sick Matt Costello (flu) and ended up having to work around Adreian Payne's in-game cramping. Still, for a MSU team that's 15-1 with some damn impressive wins to date the entire complexion of this game was just weird. North Carolina grabbed 16 offensive rebounds while the Spartans hauled in just 25 defensive boards; that's a offensive rebounding percentage of 39 percent. Against a Tom Izzo team that might as well be the equivalent of losing 100-50, at home, to a MEAC school. team's offense in the final 7+ minutes of regulation Tuesday. For 32+ minutes of regulation the short-handed Spartans played like national champions, albeit at home, against the undefeated Buckeyes. MSU led 55-38 with 7:06 to play before, inexplicably, going into run-down-the-shot-clock-and-take-the-foot-off-the-gas mode. For a team that had smelled blood when the game was in the 6-8 point range to push the lead to 17 it was puzzling to see it become so passive. That's when the Buckeyes became the sharks. 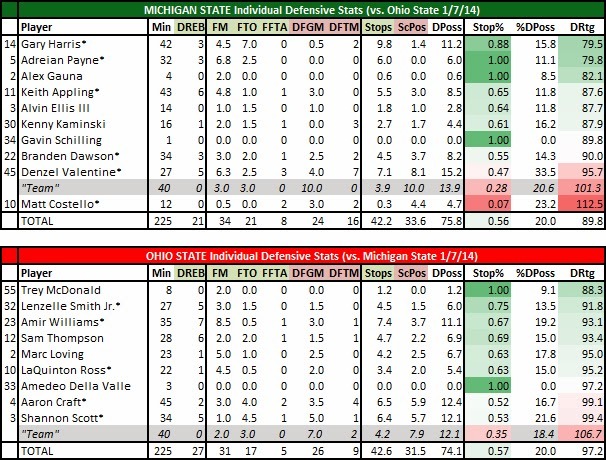 Over the final 7+ minutes of regulation Ohio State outscored Michigan State 20-3 by forcing nine turnovers with a ferocious defensive attack that led to a handful of easy buckets. Heck, the final turnover - a deflection and steal by Shannon Scott - almost sunk the Spartans in the final seconds of regulation if not for a phenomenal defensive play by Keith Appling. In overtime the Spartans crawled out of their shell a bit and, when the traditional, attacking style of offense the Spartans used for the first 32+ minutes - SURPRISE! 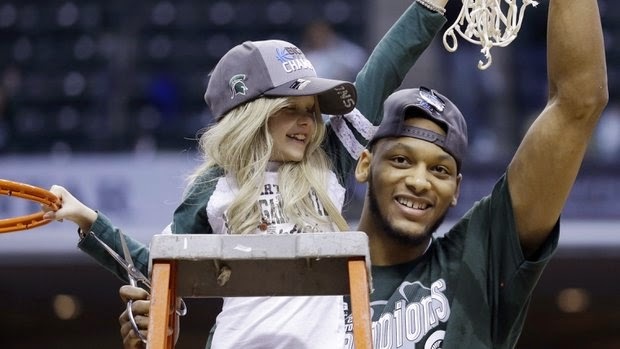 - worked MSU was able to hold off the Buckeyes in a 72-68 overtime classic.